The Office of the Provost recently announced that Diana Doumas, professor and director of the Institute for the Study of Behavioral Health and Addiction, has been named a Boise State Distinguished Professor. The campus community is invited to a reception honoring Doumas from 4-6 p.m. April 11 at the Benjamin Victor Gallery. This title constitutes one of the highest honors that may be given to a faculty member at Boise State University and is reserved for a select few who have made significant contributions to their academic disciplines. Doumas has been a Boise State faculty member since 2003 and joined the Department of Counselor Education in the College of Education in 2006. Her work focuses on the problem of youth substance abuse. Doumas is considered a leader in the area of web-based interventions for underage drinking, recognized nationally and internationally by prominent scholars in the field of addiction. Her primary line of research helped establish the eCHECKUP TO GO, a personalized online alcohol intervention and prevention tool. This tool was identified as both low in cost and highly effective in the National Institute on Alcohol Abuse and Alcoholism (NIAAA) CollegeAIM Guide, the definitive resource for colleges and universities for selecting alcohol prevention and intervention programs for their campuses. 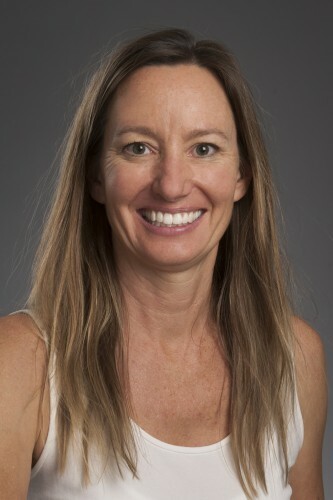 Doumas also was instrumental in developing an applied research component for the Master in Counseling curriculum at Boise State and has been the research advisor for more than 120 Master in Counseling students. Many of the master’s and doctoral students Doumas has mentored have received research awards and published peer-reviewed manuscripts as co-authors. As director of the Institute for the Study of Behavioral Health and Addiction, Doumas has integrated her work as a scholar and mentor to serve the community. For example, Doumas conducts grant funded research that furthers knowledge in the field of addiction, while providing prevention and intervention programming for students at Boise State and the community beyond campus. She also has provided evaluation services for community organizations, workshops and trainings to disseminate evidence-based practices to practitioners across Idaho, and she oversees the RADAR Center, which is the only clearinghouse for substance abuse prevention and intervention material in the state. Most notably, Doumas has served as a consultant for DrugFree Idaho for nearly 15 years. “Her work in the area of teaching, particularly as research mentor to students, coupled with the service she has provided to the community to address youth substance abuse, clearly reflect the highest level of academic excellence,” Aida Midgett, professor and chair of the Department of Counselor Education.